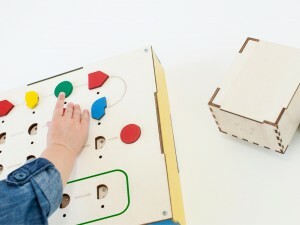 Primo Kickstarted late 2013 by London based company Primo.io with a simple mission: Introducing programming logic to children, taking them from a basic introduction at preliterate age all the way to the command line. Primo.io is a London based hardware and software company founded by Filippo Yacob and Matteo Loglio. Cademis is a proud backer of Primo. It seems that there are some troubles in the supply chain and/or manufacturing of the Primo product. Currently the company website states that shipment of final product will be in autumn 2015. Hope everthing is now under control and the current plans work out as expected.